Installing a new sliding or swinging gate doesn’t make much sense without the right gate operator or access control system. First Class Fence & Access Control offers a variety of solutions to fit all your residential and commercial gate needs. With quality products from leading manufacturers and professional installation, you can count on us for reliable performance and the safety and security you need. Our specialists can help you choose the right gate operator and access control for your property. 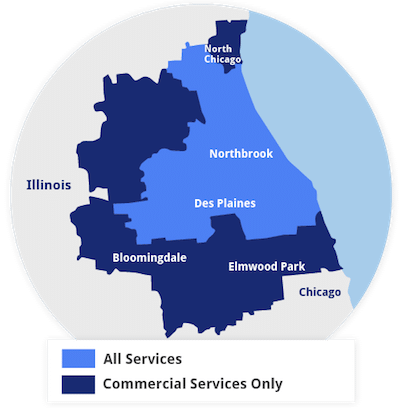 Call us at 1-844-485-8070 or click below to request your on-site consultation and free estimate in Glenview, Riverwoods, Northbrook and surrounding areas. We install slide, swing, and barrier gate operators for residential and high-traffic commercial and industrial applications. Our gate operators are the perfect solution to give faster, safer access to your family, guests, tenants, and employees. We install automatic operators to fit the length, weight, and frequency of use of your gate. A gate operator is essential to keep your gate closed and secure at all times, as locks and latches simply don’t provide the same level of protection. Contact us to discuss your needs - we can design a custom solution for your home or business. The right access control system will meet your demands for security and convenience. Whether you need access control for a residential home, gated community, office building, or industrial property, we offer a variety of options to help you easily manage your access points. With keypads, card readers, and remote systems available, we can design the perfect access solution to meet your accessibility and security needs. Does an automated gate sound like the right solution for your residential or commercial needs? Call us today to get started with a free estimate on all gate operators and access control systems. We are your trusted contractor for quality fence solutions in Glencoe, Highland Park, Highwood, Deerfield, Lincolnshire, Wheeling, Chicago and nearby.